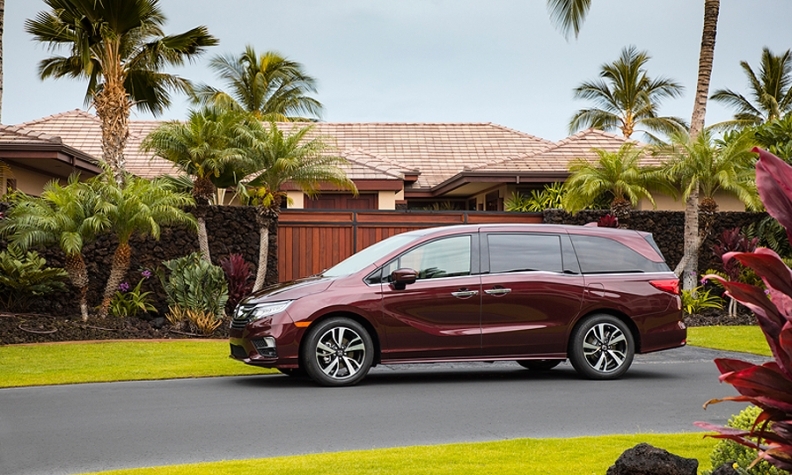 Honda Canada is recalling 11,252 Odyssey minivans over a latch malfunction that may cause the power sliding door to open when the vehicle is in drive, according to Transport Canada. The recall covers certain 2018 and 2019 Odyssey vehicles. South of the border, America Honda is recalling 107,000 Odyssey minivans for the same problem. “The rear latch assemblies on the power sliding doors may stick. This could cause a door not to close fully, and in certain circumstances, the door may open unexpectedly while the vehicle is in motion,” Transport Canada said on its website. Honda will notify owners, and dealers will replace the left and right power sliding door rear latch assemblies, free of charge, according to the safety agency. "While the supply of parts is currently lower than what is required to complete recall service on all affected vehicles, we expect the availability of required parts to increase in December," Honda Canada spokeswoman Laura Heasman said in an email. "Where parts are not available to replace the affected components, we have a service procedure in place to prevent the inadvertent operation of an automatic rear sliding door, until the affected components are replaced." Honda began servicing the affected vehicles Nov. 9, much sooner than in the United States, where recall is expected to begin Dec. 20, when the automaker has enough latch repair kits. Honda Canada said it isn't aware of any injuries caused by the latch problem. In the United States, dealers without repair kits will give affected vehicle owners the option to temporarily disable the power sliding door feature until the parts become available. This temporary fix will allow manual operation of the sliding doors. There have been no reports of injuries related to this malfunction, America Honda said in a statement Tuesday. Through October, Odyssey's Canadian sales increased two per cent to 10,061 vehicles.